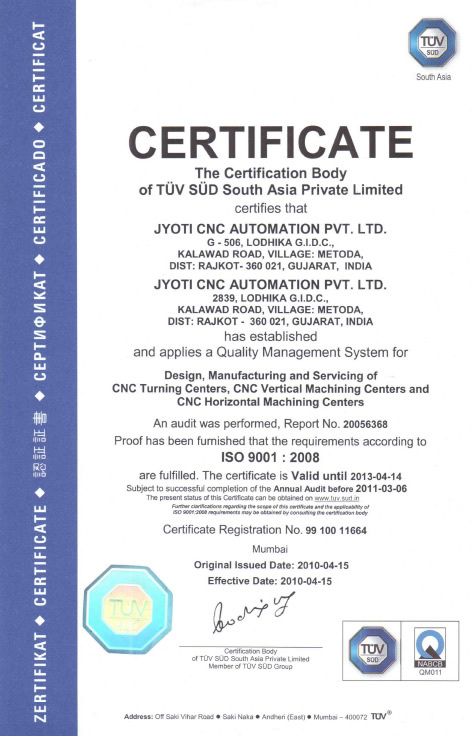 ISO Quality Certification - HURON GRAFFENSTADEN | cnc machine, cnc lathe, cnc turning center, cnc milling machine, cnc machining center, cnc vertical machining center, cnc, vmc, hmc. At HURON, Our mission is to work as a team and achieve continual improvement in Productivity, Customer Satisfaction & Employee Growth with an emphasis on strong design and engineering. Continued emphasis on new ideas through innovative engineering to feed the customers so they can take optimum benefits of our products. 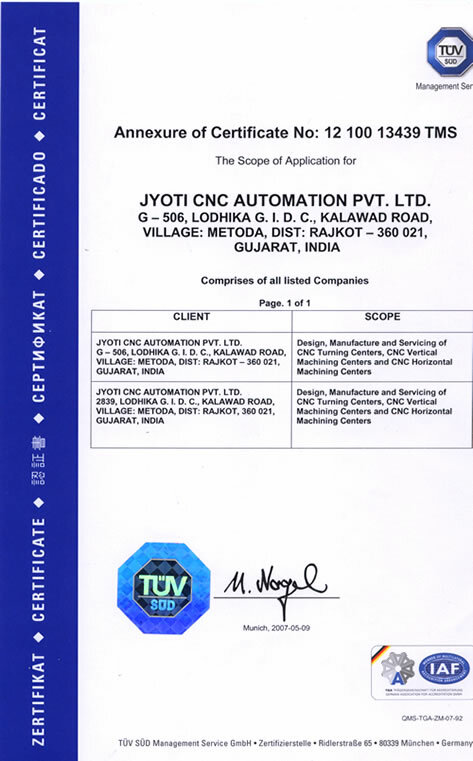 To follow manufacturing methods for achievement of higher productivity and reduction in variations in the system through technical up-gradation of the resources. Nourish the level of customer satisfaction to customer delight. To Prosper the life of each individual affiliated with company. 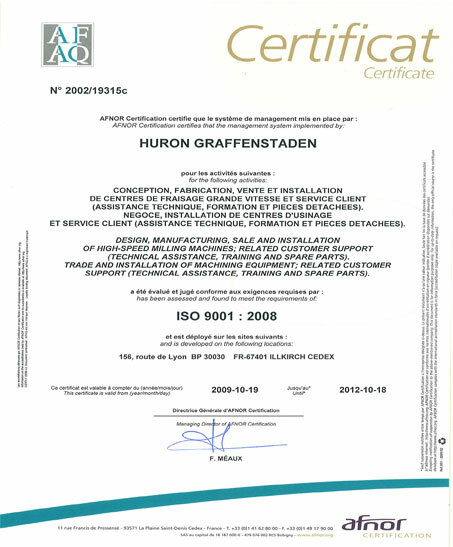 The inherent quality emphasis throughout the manufacturing process on some of the most modern machinery & equipment has gained Huron the coveted international mark of quality management systems – ISO 9001.